Classic espionage property The Saint, last seen as a 1997 feature film starring Val Kilmer and a variety of laughable disguises, may be making a comeback. Paramount has nabbed the rights to the Leslie Charteris book series, and Transformers producer Lorenzo di Bonaventura is hoping a new franchise will result. 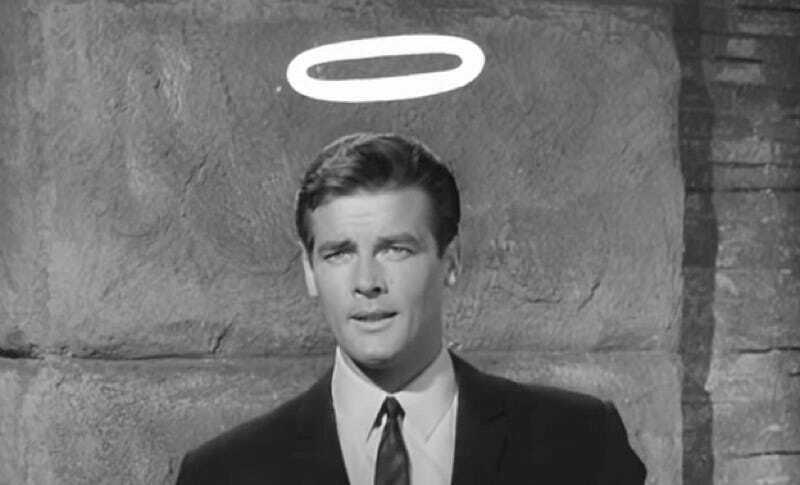 The books—about do-gooding super-spy/thief Simon Templar—were written from 1928-1963, and inspired a TV show that starred a pre-Bond Roger Moore and was a big hit in both Britain, where it was produced, and the US. Rumors have percolated for awhile that the show would get a reboot (and an apparently yet-to-air TV movie with Moore seems to floating around out there, too), but it seems that a return to the big screen will be The Saint’s next major destination. And it won’t be a retro tale—Deadline, which broke the news, reports that di Bonaventura and co-producer, Hollywood legend Robert Evans, are aiming for an action-heavy take on a character seemingly suited for a “re-do in a modern age of terrorism and corruption in the political ranks,” presumably taking cues from Jason Bourne or the Mission: Impossible movies. Hopefully, that means his disguises will have gotten a bit more convincing since 1997.